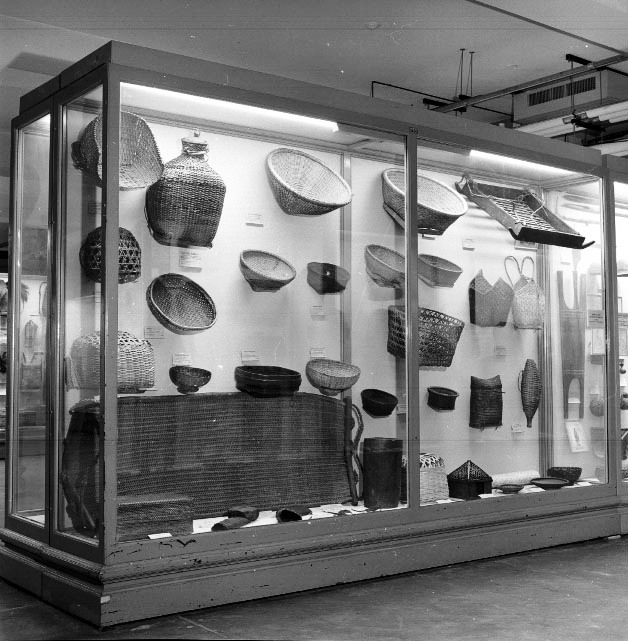 In 1928, the Philippine Islands exhibition opened in the Museum's Exhibition Hall H. It displayed a wide selection of objects collected by William Jones, Stephen C. Simms, and Fay-Cooper Cole on the Museum's anthropological expedition to the Philippines between 1906 and 1911. 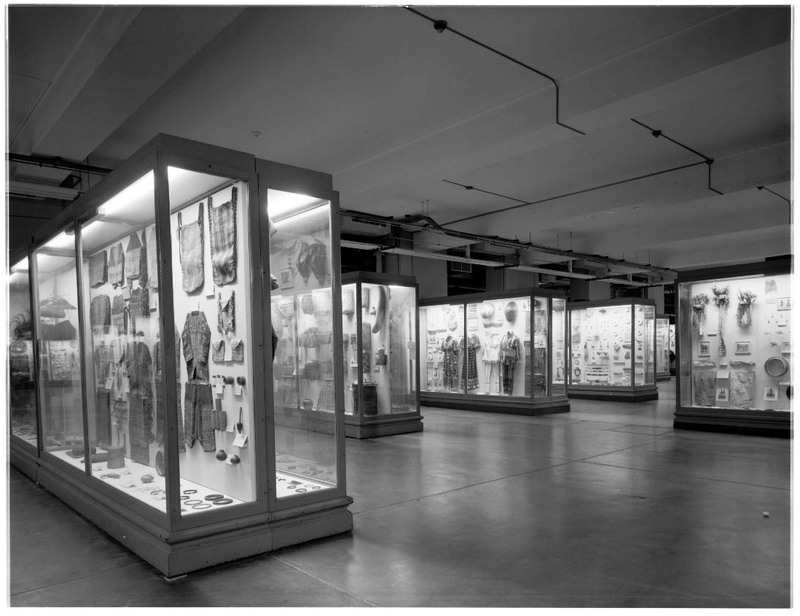 Situated on the ground floor of the Museum, this hall was organized to emphasize the "outstanding characteristics of the principal" indigenous groups living throughout the Philippines. 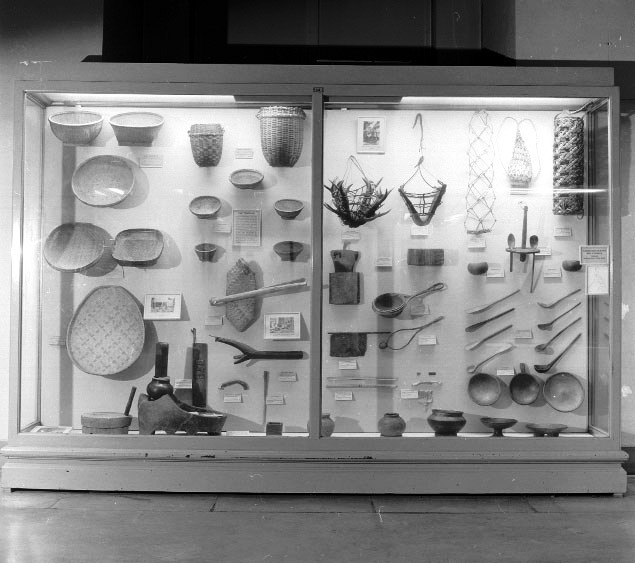 Due to Cole's extensive research on the lives of the Tinguian in Northern Luzon, a large portion of this exhibition was dedicated to their economic and ceremonial practices. 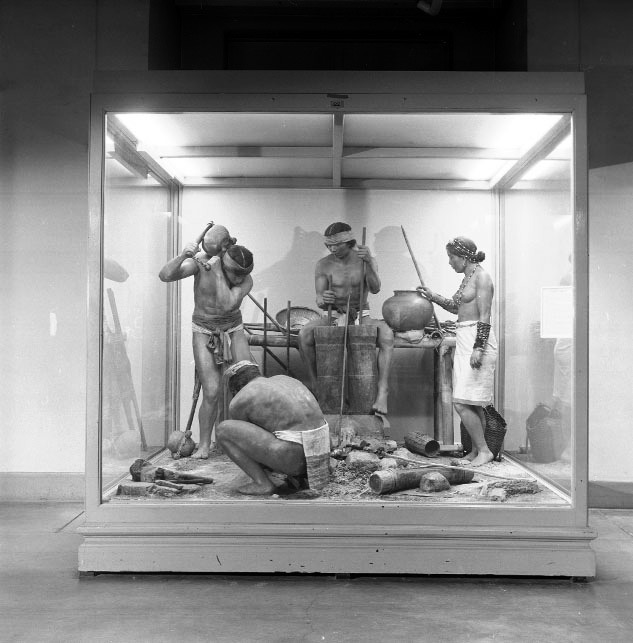 There were several life-sized tableaus in the hall, each focusing on specific industries relating to various groups of people, such as the Tinguian forging weapons, Igorot peoples making pottery, or the Bagobo weaving hemp. 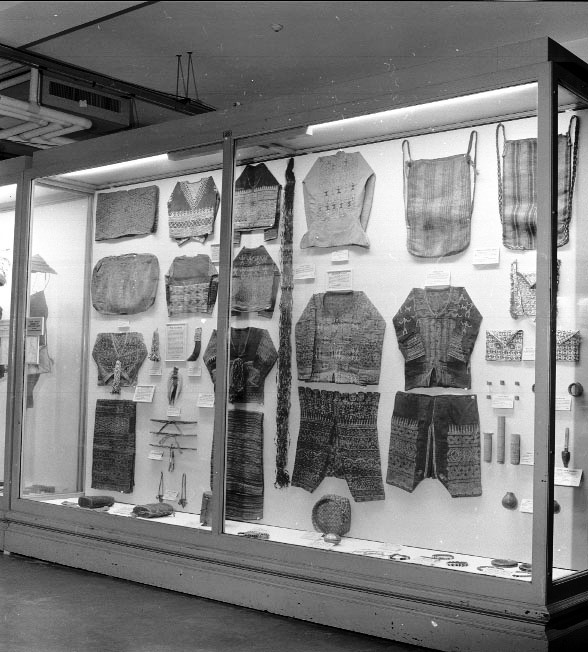 Other indigenous groups with significant displays included the general groupings of "Igorot" and "Moro". 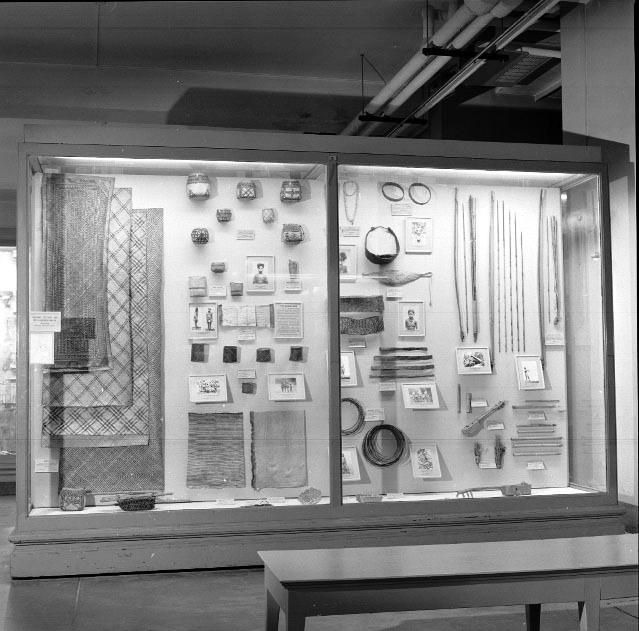 Between 1958 and 1971, the space dedicated to the Philippines was eventually combined with other nearby geographic groups, including the people of Melanesia, the Malay Peninsula, and Indonesia. By 1977, the Philippine Islands exhibition hall had become a component of the exhibition Island Cultures of Southeast Asia. 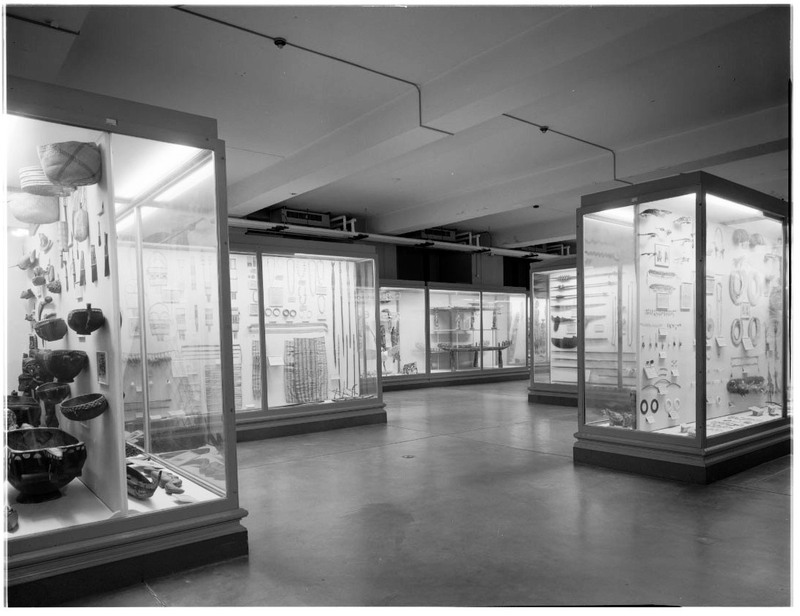 This space invited visitors to "see a fraction of one of the (if not the) world's largest and most complete collections of the Philippine articles" now condensed to the eastern part of Hall G, or the Peoples of Malay Peninsula and Indonesia exhibit. 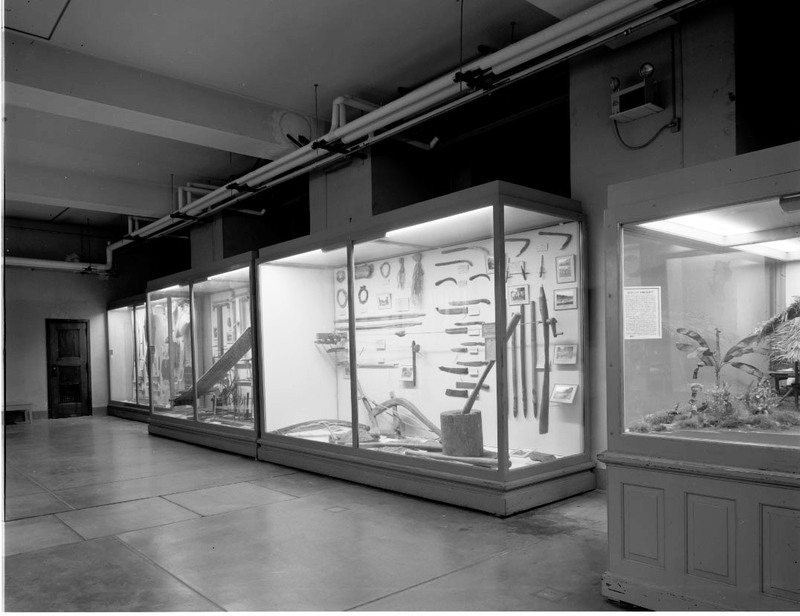 In 1985, documentation of this hall was recorded in preparation for deinstallation where the objects from the Philippine collection were returned to storage. 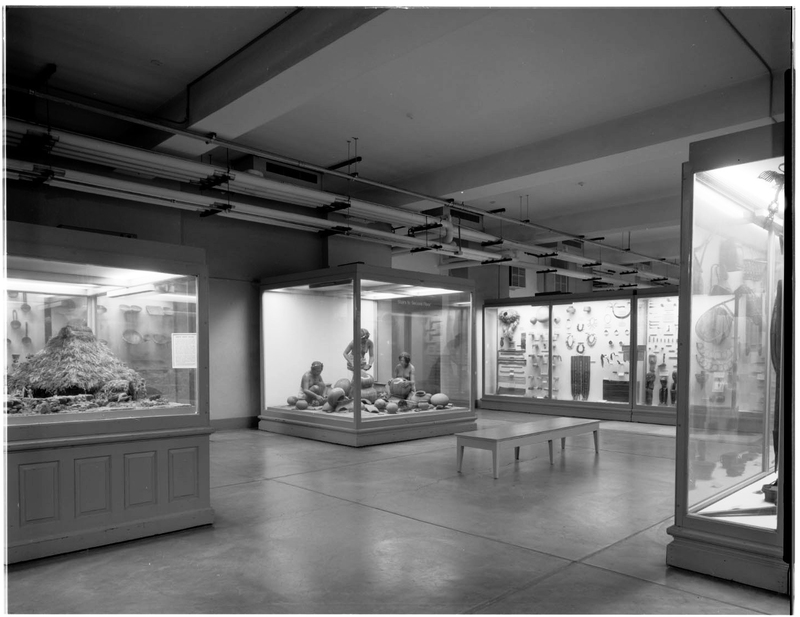 In July 1998, The Field Museum created two special exhibits: Voyage of a Nation: The Philippines, and Vanishing Treasures of the Philippine Rain Forest to celebrate the Philippine Centennial. Voyage of a Nation: The Philippines was a 3,500-square-foot exhibition featuring 120 cultural artifacts from The Field Museum's collections, as well as objects selected from other cultural institutions and the Filipino community. The exhibit recalled significant events in the island nation's history and emphasized the creative skills of Filipino groups throughout the country's different regions. A highlight of the exhibit's display was the Agusan image, a solid gold statue believed to be of a Buddhist Vajralasya offering goddess that may date from about 1000 to 1300. It was discovered on the island of Mindanao. This statue, which is also known as the Golden Tara, was highlighted for its reflection of the long history of contact between the Philippines and other Southeast Asian cultures. The Agusan image remains on display today in the Grainger Hall of Gems, among other treasures from throughout the world. The second exhibit, Vanishing Treasures of the Philippine Rain Forest, highlighted the rare birds and mammals found only in the Philippines and the ecological crisis that continue to threaten their future. 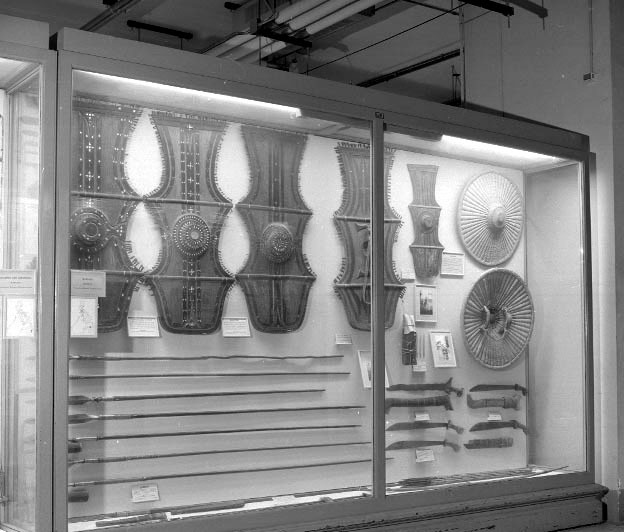 These temporary exhibits were displayed until November 29, 1998. The Philippine collection continues to inspire. In 2015, Field Museum Research Associate Dr. Almira Gilles was awarded a prestigious John D. and Catherine T. MacArthur Foundation Grant from the International Connections Fund to exhibit original works of object-inspired art. This project brought together 5 artists from the Philippines to work alongside 5 artists from the Greater Chicago area to explore the role that objects serve in making meaning. This temporary exhibit opened in the fall of 2015.